LONDON — At its heart, Brexit is about untangling more than 40 years of shared laws and policy. That's a tall order for any government, especially given the tight two-year time frame written into the process. 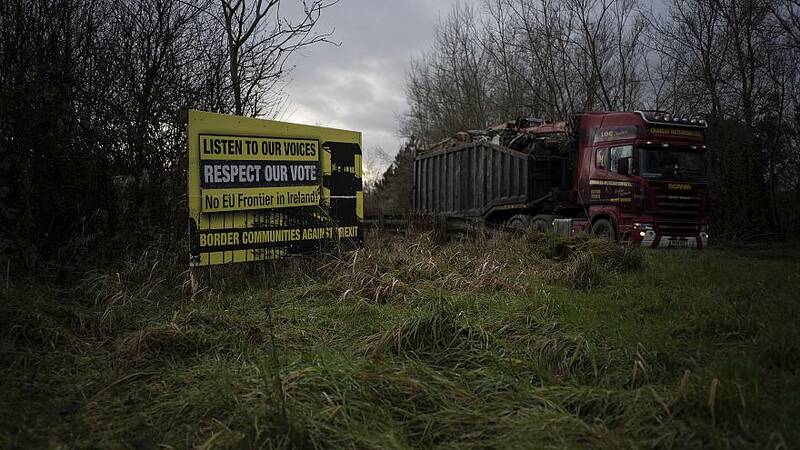 But an issue that was hardly mentioned during the Brexit referendum campaign in 2016 has proved trickier to solve than any other: how to handle the border between the Irish Republic, which is in the European Union, and Northern Ireland, which is part of the United Kingdom. Today, the 310-mile boundary is largely invisible and runs through schools, farmlands, homes and even a church graveyard. It is also the only land border that the U.K. shares with an E.U. country. And because both the U.K. and the Irish Republic are members of the E.U., goods and people currently flow freely between the two countries without checkpoints or passports being inspected. But what happens when Britain departs from the 28-country bloc on March 29 remains a conundrum. Prime Minister Theresa May and the E.U. believe the answer is what is known as the Irish backstop. Here's your guide to the proposed measure, which is hated by many Brexit supporters. Why is the border such a sensitive issue? For 30 years, starting in the late 1960s, the border was a front line in a conflict known as "The Troubles" that killed 3,600 people. The dispute pitted republicans, primarily Catholics seeking a united Ireland, against British security forces tasked with maintaining U.K. rule over Northern Ireland. The republicans also fought against local loyalists, primarily Protestants wanting Northern Ireland to remain in the United Kingdom. A delicate peace pact was negotiated in 1998, known as the Good Friday Agreement. President Bill Clinton helped broker that accord, which allowed the people of Northern Ireland the right to identify and be accepted as British or Irish, or both, within the E.U. It also resulted in the removal of British military checkpoints and watchtowers. These had been regularly targeted by republicans as symbols of British dominance. Some fear Britain's plan to leave the E.U. could result in such checkpoints being reintroduced, reopening old wounds, upsetting the delicate detente and potentially spurring new violence. As members of the E.U., the U.K. and Ireland are both part of what is known as the single market and customs union. The customs union means E.U. member countries make trade agreements as one bloc. They are not allowed to negotiate such deals with other countries on their own, and they trade freely with one another. The E.U. 's single market is based around four freedoms of movement: of goods, services, labor and capital. The U.K. government has said that once it leaves the E.U., it no longer wants to be part of either the customs union or the single market. Post-Brexit, the country wants the freedom to strike trade deals on its own as well as to limit immigration. The U.K. government and the E.U. have both expressed their commitment to avoiding a so-called hard border, with no physical infrastructure or related checks of any kind, between the Irish Republic and Northern Ireland. But if Britain leaves the customs union and/or single market before agreeing to a trade deal with the E.U., then a border or some sort of physical infrastructure like cameras or sensors would likely become necessary to monitor crossings. To get over this, the E.U. included a "backstop" in the withdrawal agreement it negotiated with May. It is an insurance policy that guarantees the status quo will remain at the Irish border after Brexit by keeping the U.K. inside "a single E.U.-U.K. customs territory" until a trade deal can be struck. It also keeps Northern Ireland aligned to parts of the single market in terms of some rules and regulations. The backstop has no end date and would be a permanent feature of their relationship until a trade deal is agreed. Why do some British politicians object to it? Many leading advocates of leaving the E.U. are wary about entering into an agreement that ties the U.K. to the bloc indefinitely. With no end date specified, opponents fear that the U.K. could be permanently giving up the opportunity to negotiate its own free trade deals, a major reason many wanted to leave the bloc in the first place. The backstop was one of the major reasons why May's agreement with the E.U. was crushed in Parliament on Jan. 15. What are May's additional challenges? 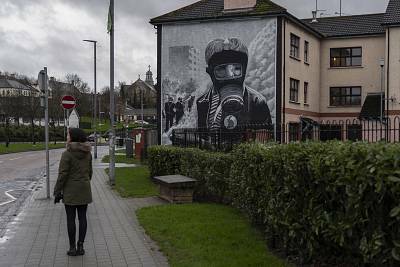 The prime minister's ruling Conservatives are a minority government that is propped up by members of Northern Ireland's Democratic Unionist Party. The DUP supports Brexit, but will not back any deal that treats Northern Ireland differently from the rest of the U.K. Since the backstop specifies that Northern Ireland would remain aligned with the E.U. on some single market rules, including on goods, May's proposed agreement is a no-go for the DUP. Meanwhile, the E.U. insists that the withdrawal agreement, including the backstop, is nonnegotiable. Unless there are changes made in Parliament, the U.K. will leave the E.U. — deal or no deal — on March 29. 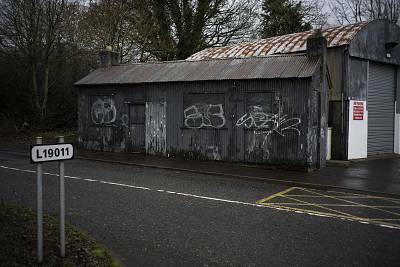 If Britain does crash out without a deal, then it is unclear what would happen on the Irish border.